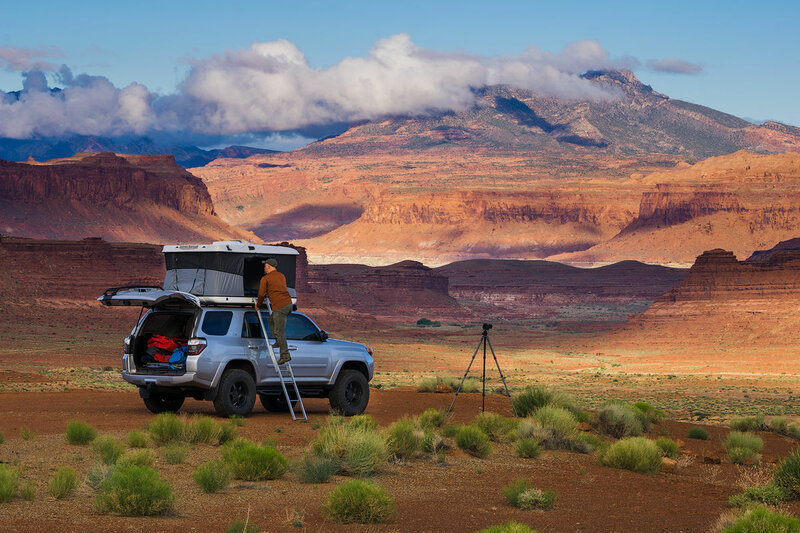 I look into what it's like being a landscape photographer. I do this for my parents who always say that I don't share enough photos of myself. 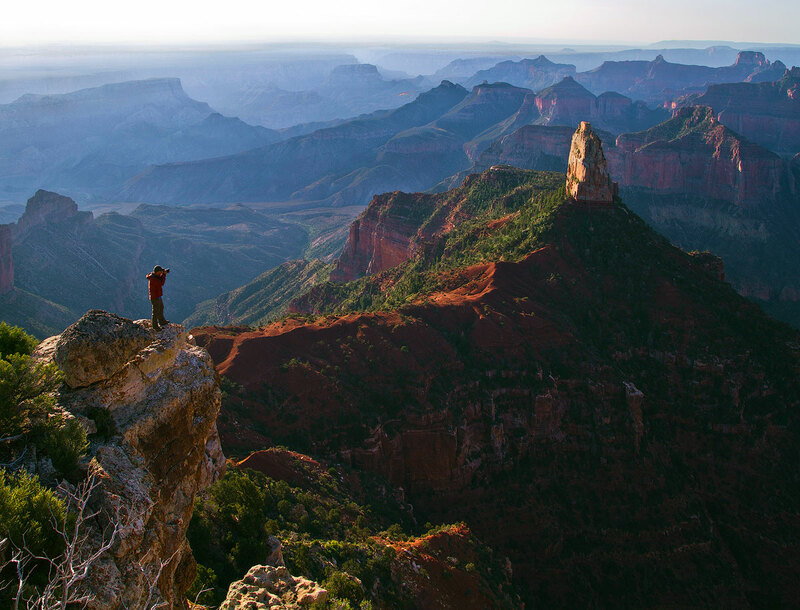 Standing on the edge at Point Imperial looking down onto Mount Hayden and the Grand Canyon. Photo courtesy Holger Streu. I have no idea what I was laughing about, but I had been going for days and was exhausted. Near Hopi Point on the South Rim of the Grand Canyon. Photo courtesy of Brian VanDenzen. 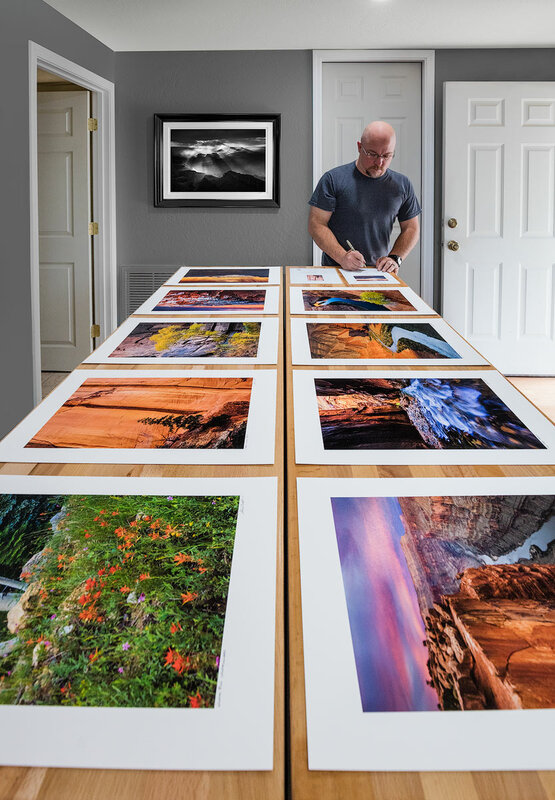 In my home studio preparing fine art prints for clients. 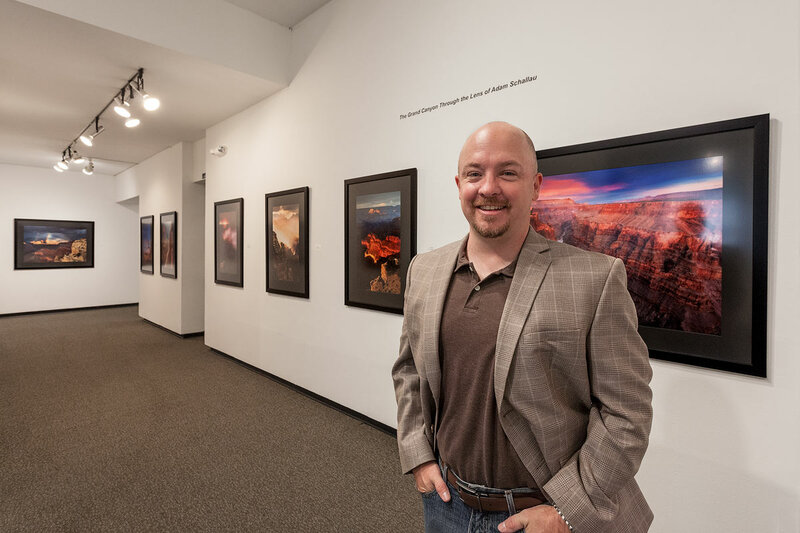 At the Fort Worth Art Center for my exhibit 'Grand Canyon Through the Lens of Adam Schallau.' This exhibit was one of two in Fort Worth that ran concurrently, for a total of 25 pieces on display. I love camping, but I hate dealing with a tent, especially in the morning when I'm up early and trying to get ready for a sunrise shoot. 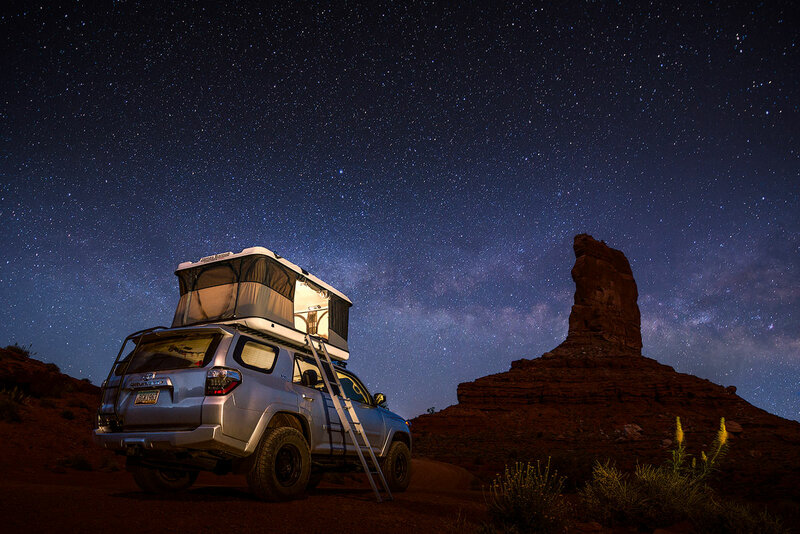 I do however love the rooftop tent on my 4Runner. I can set this tent up in about a minute and pack it away in about 3 minutes. 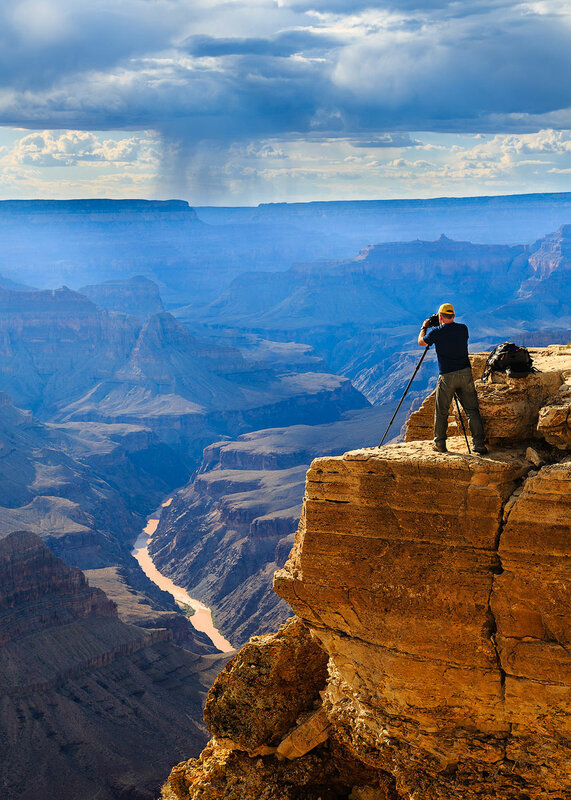 Setting up the shot at Mohave Point on the South Rim of the Grand Canyon. That's the Colorado River over 5,000 feet below. 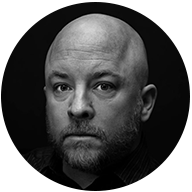 Photo courtesy Brian VanDenzen. It's views like this that made me become a landscape photographer. From somewhere in southern Utah. Hiking in Blacktail Canyon, a side canyon to the Grand Canyon near mile 120 on the Colorado River. 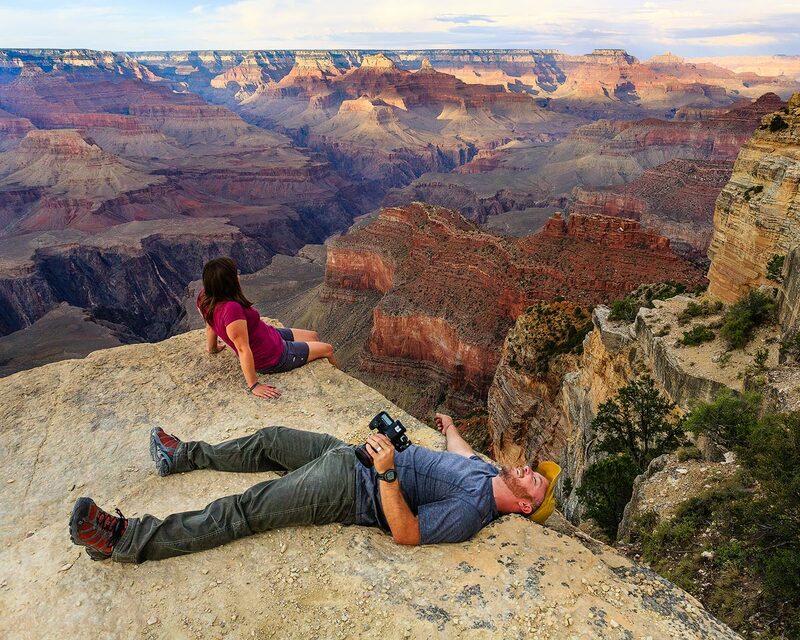 Here I'm taking a few minutes to relax after hiking to the bottom of the Grand Canyon. This photo is from the front porch of the Trailcrew Bunkhouse at Phantom Ranch. 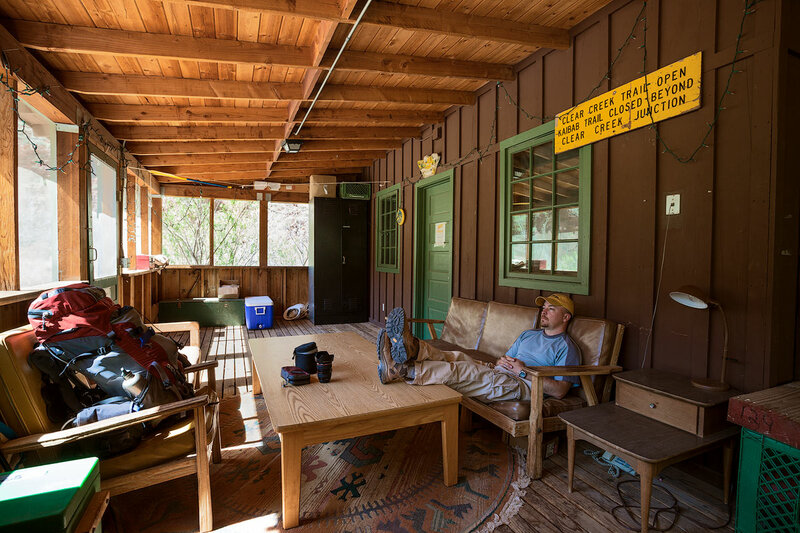 Staying here was one of the perks of being an Artist-in-Residence for Grand Canyon National Park. 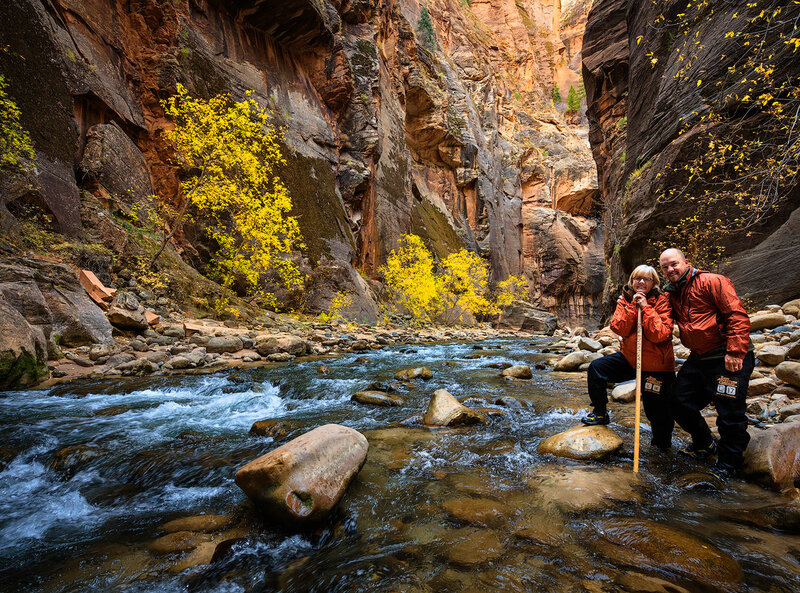 Sally and I are hiking the Virgin River Narrows in Zion National Park. 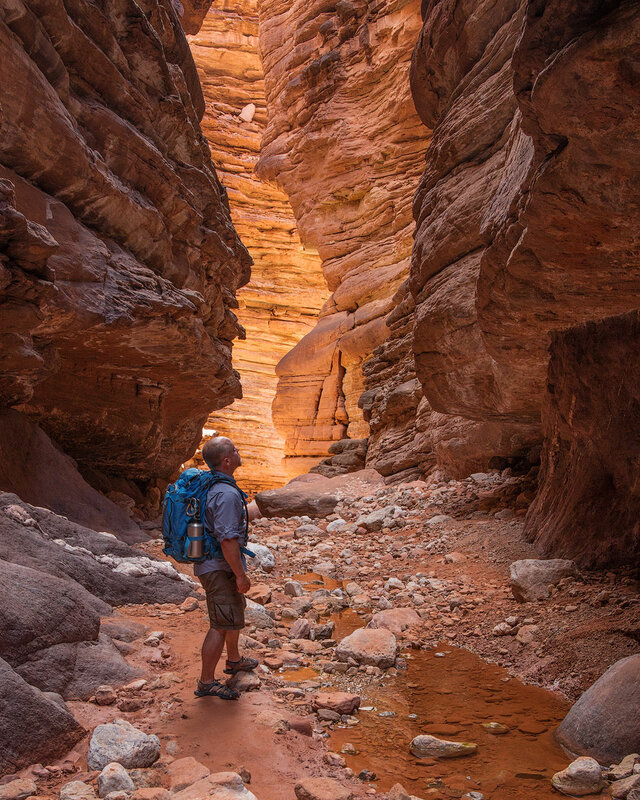 This hike has to be one of the best in the American Southwest. You have to walk in the river, and we've had water up to our chests at times, but it's so worth it!